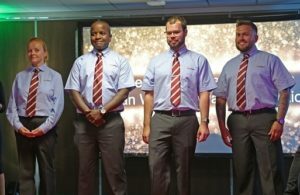 After months in development, award-winning transport operators Lothian Buses launched their new uniform in style on the catwalk on Tuesday 3rd July in Edinburgh. 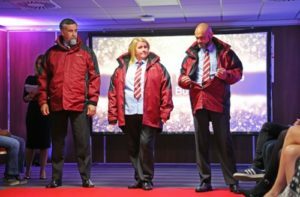 The catwalk event, presenting Lothian Buses uniforms from across the years, showcased their long-awaited new fresh uniform design. The team at Murray’s joined the event in Edinburgh with their sleeves rolled up, helping the team prepare the uniforms for the runway. 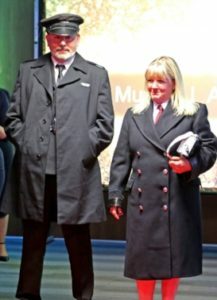 The new uniform has been developed by Murray Uniforms using over 100 years of design and manufacturing expertise, adding improved quality, style and fit to an essential aspect of Lothian Buses’ customer service. They needed a uniform that not only reflected their strong company values and long Scottish heritage but also combined style and practicality. 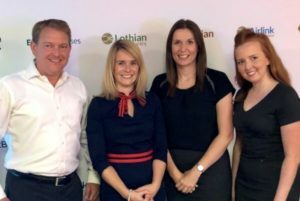 Following feedback from the drivers themselves, along with insight from the Operations team at Lothian, Murray was able to truly understand not only what the business objectives were, but what the wearer wanted and needed every day from their uniform. Lothian were looking for a unique and practical solution that differentiated them from their competition. They wanted to capture the brand’s heritage and links to Scotland and also include innovative items that align to the aesthetic of the buses themselves, which you see on the 3-in-1 anoraks. Green dress, blue dress? How do you see colour? You are what you wear, or are you?